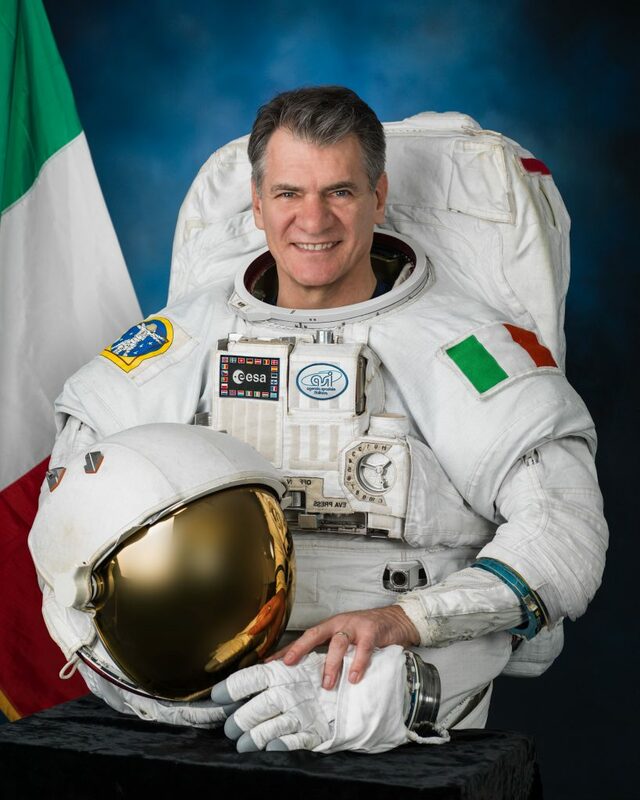 Paolo Nespoli is a European Space Agency Astronaut of Italian nationality who logged 174 days in orbit on a U.S. Space Shuttle mission and a long-duration flight to the International Space Station in 2010/11. 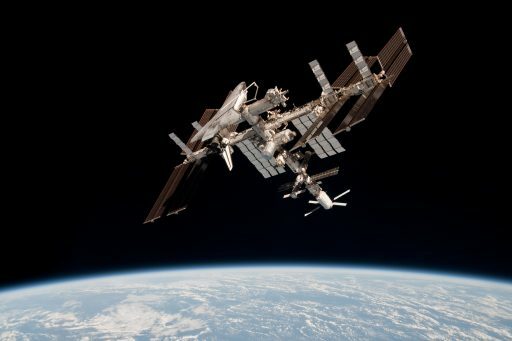 He can be credited with capturing some of the most iconic footage in the history of spaceflight showing the International Space Station with a docked Space Shuttle orbiting 400 Kilometers above the Earth. Nespoli, a trained aerospace engineer, will make his third space flight in 2017 as part of International Space Station Expedition 52 and 53, adding four-and-a-half months to bring his record to over 300 days spent in space. Born in Milan on April 6, 1957, Nespoli attended the Paolo Frisi lyceum in Milan from which he graduated in 1977 and began his service in the Italian Army. He worked as a parachute instructor and, in 1980, served as a Special Forces operator in the 9th Paratroopers Assault Regiment Col Moschin. Between 1982 and ’84, Nespoli was part of the Italian contingent of the Multinational Peacekeeping Force in Beirut, Lebanon. He then enrolled at university, graduating from the Polytechnic University of New York in 1988 with a Bachelor’s in Aerospace Engineering and continued to earn his Master’s in Aeronautics and Astronautics. Nespoli also holds a Bachelor of Science degree in Engineering Mechanics. Retiring from the army, Nespoli returned to Italy and pursed a career as engineer at Proel Tecnologie in Florence where he performed mechanical analysis and participated in tests of the Electron Gun Assemblies for the Italian Tethered Satellite System. He joined the European Astronaut Center in Cologne, Germany in 1991 as support for astronaut training and, in 1995, he led an engineering group responsible for preparation of the personal computers to be used on the Mir Space Station. Paolo Nespoli reported to the Johnson Space Center in 1996 to participate in general training for the International Space Station. ESA selected him and five others as Astronaut candidates in October 1998 for two years of general space training at NASA Johnson, alongside NASA’s 17th Astronaut Group selected the same year. 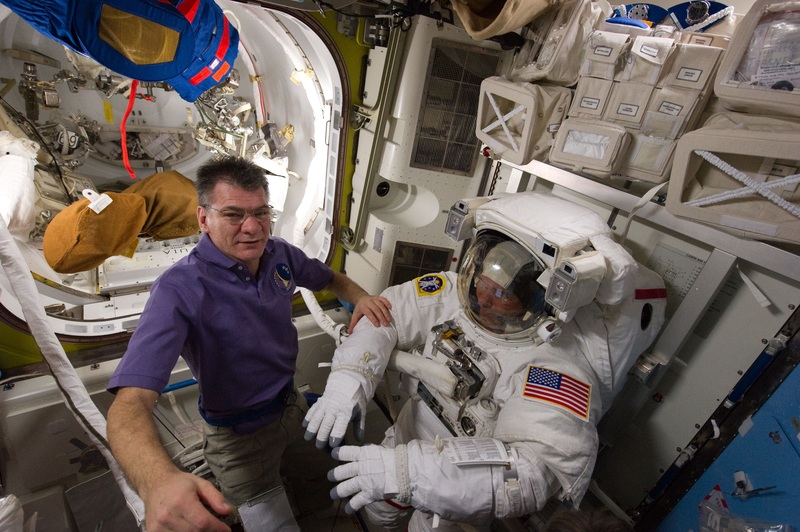 In addition to general training for a role as Mission Specialist, Nespoli also completed training to become a robotic arm controller on the Space Shuttle and he trained in the EVA Branch of the Astronaut office. 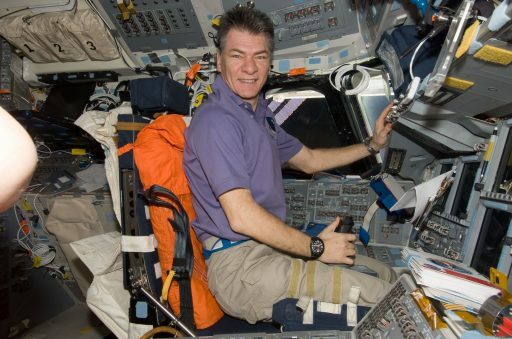 Paolo Nespoli lifted off on his first space flight as a Mission Specialist on Space Shuttle Discovery, embarking on mission STS-120 on October 23, 2007 to deliver the Italian-built Harmony node to the International Space Station along with some smaller components like grapple fixtures and power units. The mission was quite intense from a workload perspective, requiring four spacewalks by three Astronauts to complete the installation of the Node 2 module as well as the relocation of the P6 truss segment from its position on Z1 (on ‘top’ of ISS) to its final location on the outermost end of the port truss structure. During re-deploy of the P6 solar arrays, a large tear formed in one of the arrays, requiring the fourth EVA of the mission to be put together on short notice with Scott Parazynski riding on the end of the Orbiter Boom Sensor System to extend the reach of the Station’s robotic arm to reach the damaged area. 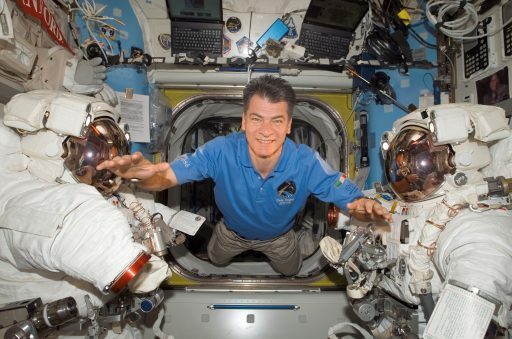 Paolo Nespoli’s mission was named ESA ‘Esperia’ and comprised a number of experiments for the European and Italian Space Agencies looking into human physiology and biology. The STS-120 mission was the longest for the Discovery orbiter, returning to Earth on November 7 after a mission of 15 days and 2.5 hours, covering over 10 million Kilometers. After his return from ISS, Nespoli re-entered generic ISS training and Astronaut support duties before being assigned a backup role for the ISS Expedition 24 crew and a prime crew spot for Expedition 26 in November 2008, transitioning into flight specific training at all ISS partner centers including the Gagarin Cosmonaut Training Center where he completed Soyuz training. In May 2010, Soyuz Commander Dimitri Kondratyev, NASA’s Cady Coleman and Paolo Nespoli completed final flight exams on the Soyuz and ISS systems as part of their backup assignment, passing with excellent grades and standing by on June 16 for the launch of Soyuz TMA-19. 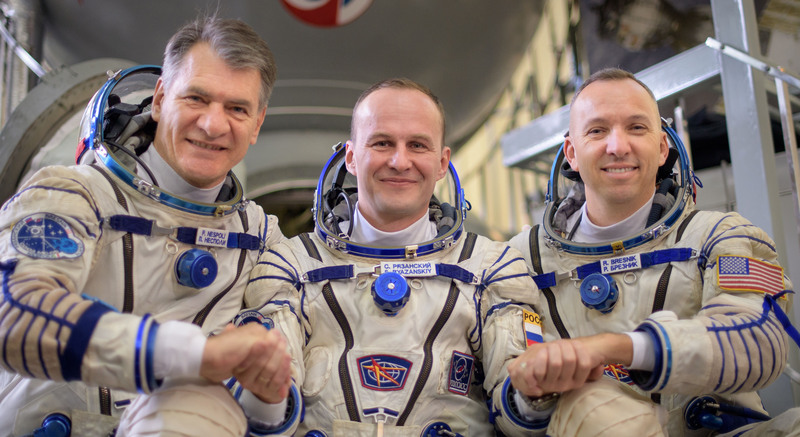 Now in a prime crew role, the three crew members went back into flight training before re-convening in November for a repetition of final exams and heading to the Baikonur Cosmodrome for two weeks of final launch preparation. The trio blasted off on December 15, 2010 and arrived two days later, being welcomed by the resident ISS crew of Scott Kelly, Aleksandr Kaleri and Oleg Skripochka for four months of joint operations as part of Expedition 26. Nespoli’s ISS mission, as is ESA tradition, received its own designation: ‘MagISStra’. The Expedition 26 crew supported a busy schedule of science experiments and welcomed the second H-II Transfer Vehicle in late January as well as the second Automated Transfer Vehicle christened Johannes Kepler that arrived on February 24 with over six metric tons of supplies. Space Shuttle Discovery docked just two days later with a crew of six, delivering to ISS the Permanent Multipurpose Module – the Station’s new extra-large storage closet – the fourth ExPRESS Logistics Carrier for installation on the truss and the Station’s new robotic crew member Robonaut-2. 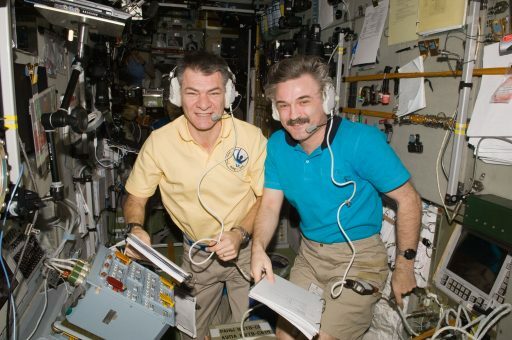 Discovery’s eight-day stay also saw two EVAs that accomplished a variety of external tasks on ISS from cabling work, installing light assemblies to relocating equipment. 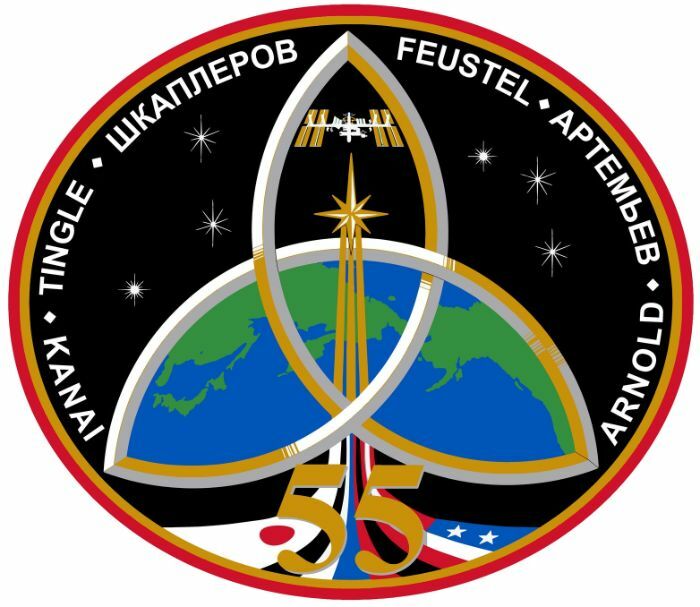 Expedition 26 ended on March 16, 2011 with the return of the Soyuz TMA-01M spacecraft, giving Kondratyev, Coleman and Nespoli all hands full supporting ISS systems and science for nearly three weeks. The three-person crew oversaw the departure of the HTV-2 cargo craft before the second half of the crew, Aleksandr Samokutyaev, Andrei Borisenko and Ron Garan, blasted off from Baikonur on April 4, trading the confined space of their Soyuz with the comforts of ISS two days later. 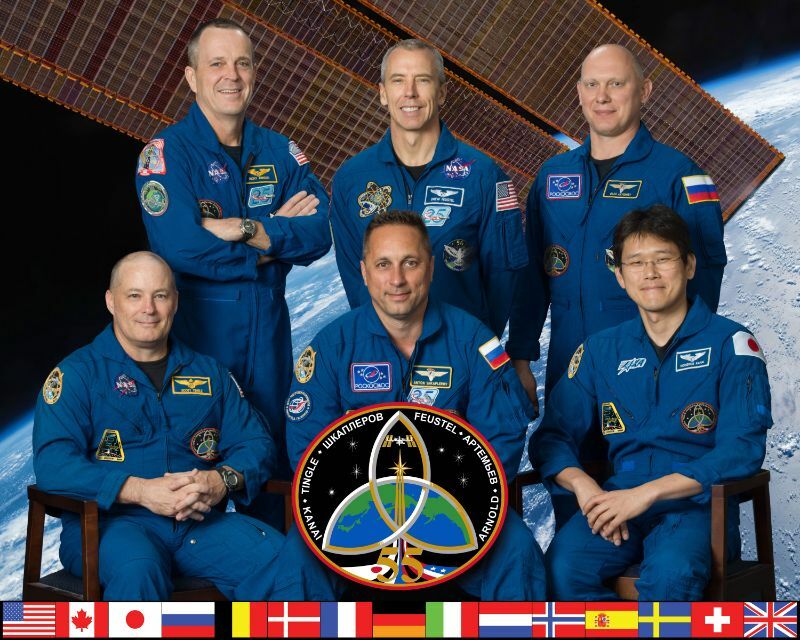 The six crew members oversaw the departure of the Progress M-09M spacecraft and the arrival of the next Progress cargo craft that made an automated docking to ISS. In May 2011, the crew welcomed Space Shuttle Endeavour on its final mission to ISS. STS-134 delivered the Alpha-Magnetic Spectrometer to ISS as well as an Express Logistics Carrier and the Orbiter Boom Sensor System. During STS-134, assembly of ISS was declared complete, marking the successful conclusion of the long ISS assembly process. The crew of Soyuz TMA-20 packed up while Endeavour was still docked to ISS. Undocking and backing away from ISS, the Soyuz crew members were treated to a unique sight with Endeavour docked to ISS, acquiring a series of iconic photos, taking advantage of one of the final chances to see a Shuttle docked to ISS before the program ended later in 2011. As the Soyuz right seater, Paolo Nespoli was given the task of climbing out of his seat after undocking and floating into the Orbital Module to take several minutes of video and plenty of still images of the Shuttle-Station complex while Soyuz retreated, en-route to a parachute assisted landing in the early morning hours of May 24, 2011. 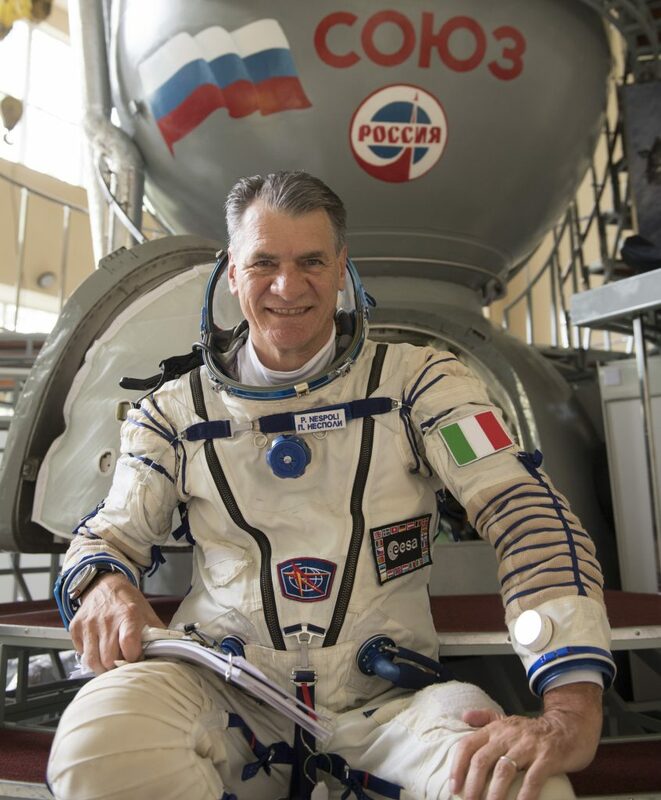 Returning from his mission and associated post-flight science and rehabilitation, Nespoli again assumed duties within ESA’s Astronaut Office. In September 2013, he participated in survival training in caves on the island of Sardinia with a number of colleagues from the U.S., Canada, Italy, Japan and Russia. Nespoli was selected for a second long-duration mission as part of Expedition 52/53, becoming only the second ESA Astronaut to complete two long-duration stints on ISS. Assigned to the Soyuz MS-05 mission, Nespoli initially trained with Fyodor Yurchikhin and Jack Fischer, starting Soyuz flight training at the Gagarin Cosmonaut Training Center in June 2015 and going through winter survival training in January 2016 in a wooded area outside Moscow. Crews were re-shuffled in the second half of 2016 and Yurchikhin and Fischer switched to Soyuz MS-04, flying as a two-person crew, while Sergey Ryazansky and NASA’s Randy Bresnik moved to MS-05.